It’s my 24th birthday today! On my 23rd birthday I was looking forward to graduation, my first job and moving in with my boyfriend. Well, graduation took a little longer than expected and I haven’t found a full-time job, but we did find a beautiful, open and light apartment that is finally starting to feel like a home. We recently bought the last bits and pieces for the living area and once I get K to clean up his messes I’ll share new photos on the blog. Pinky promise! For the first time in years I decided to host a birthday party for my closest friends. No Pinterest worthy table settings or food blog styled bites, but just a basic cocktail table, beer crate, bowls of chips and a large plate with veggies and home made dip sauces (simple guacamole and a yogurt + pesto dip). Everything came together in under twenty minutes before everyone arrived. Nothing but happy faces and lots of munching all night, so I guess I did alright. Now, my friends would not be my friends without making a ginger joke or two on my birthday, so I found a ginger root and ginger tea among my presents. I know they love me, I know they care. They proved so by spoiling me with fresh ground coffee, a carrot cake baking mix and a few pretty things for or apartment. I sense a whole lot of afternoon coffees coming up! I got to pick my own birthday cake for the first time ever and I was as excited in the bakery as a four-year-old would be in Disney World. Growing up? Don’t think so. This afternoon my family comes over for a piece of said cake and coffee. Mom is bringing their old Kitchen Aid blender as my gift (they seriously never use it, crazy people) and I can’t wait to fabricate fresh banana or strawberry nicecream again. Also, I am guest posting on Katrijn’s blog Kleine Gelukjes today! It’s been years since I’ve written for someone else’s blog so I’m pretty excited for this chance. It’s a fun coincidence that the post went live on my birthday, haha. I wrote about life’s little pleasures and what they mean to me and you can read it here (it’s written in Dutch). 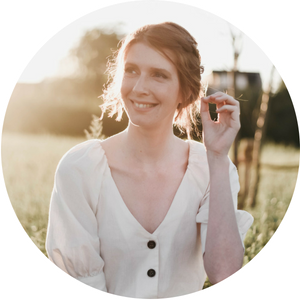 Thank you Katrijn for having me on your blog! I’m off to enjoy the rest of “my” day and stuff my face with cake. Enjoy your Sundays! happy happy birthday <3 tot donderdag! Happy 24th Birthday!!! Mine was yesterday 🙂 However the difference is your life sounds a whole lot more put together as your enter your 24th year than mine is. I hope you have a fantastic day with family to follow up your lovely evening with friends. Happy birthday! and congratulations on everything that you have accomplished this year! You are amazing! Happy birthday! I’m glad you had such a great one! Happy belated birthday!! Sounds like it was wonderful!